ANDRIY.CO - Interaction ShopDesk, the Shop Server and TCU. 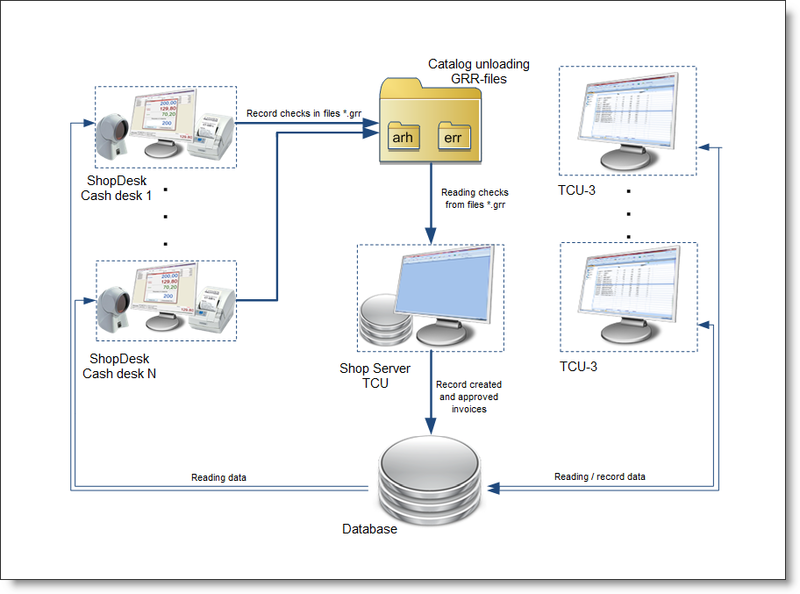 This article describes the features of the interaction of back-office application ShopDesk system TCU. As an independent application, Shopdesk works directly with the database shopping complex (about installing and configuring the application has previously been described here и here). With this system has access to information relevant to the current moment. It should be noted that when working Shopdesk used read-only data. It does not make the database information about sales. To do this, as an intermediary used commercial server, which is a standard TCU running in a special mode. 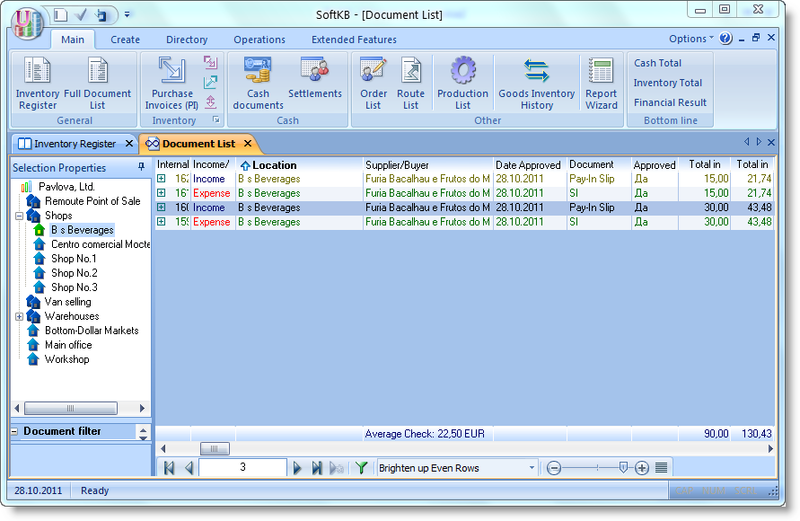 In this mode, the user interface available that allows you to work with documents, reports, etc. 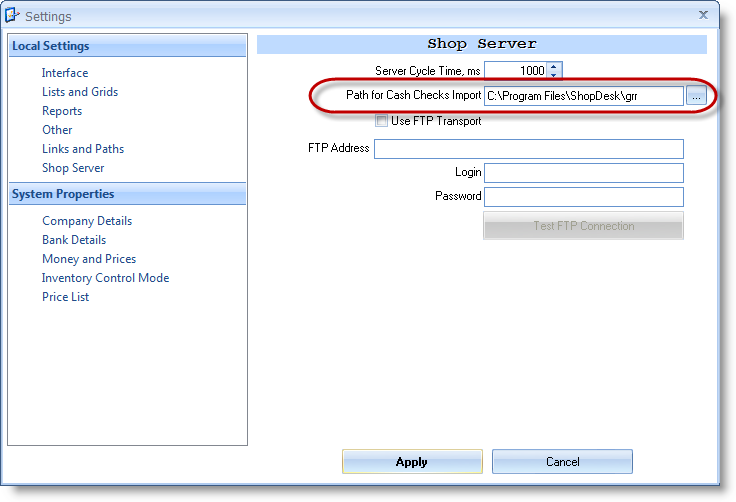 TCU in the mode of trading server is intended solely for the processing of checks files generated ShopDesk. 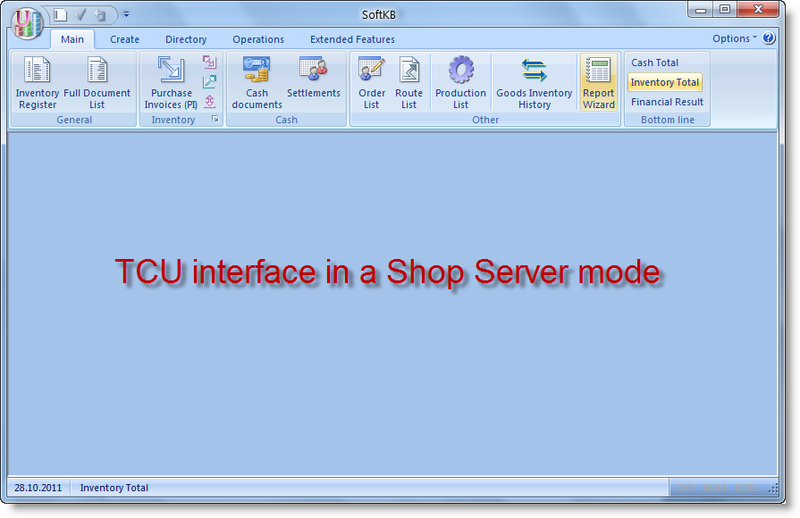 While working as a commercial server TCU does not require licensing as it applies only when used with ShopDesk. As a rule, to set the merchant server is recommended to allocate a separate computer, the most powerful. When you automate a small store can be combined workstation and server, but this practice is not the best solution. To ensure correct operation of the trading system as a whole it is desirable to minimize the chance of accidental disconnection trading server and its interference with the work of the user. Consider the scheme of joint work ShopDesk, the trading server and TCU. The cashier makes goods in check. 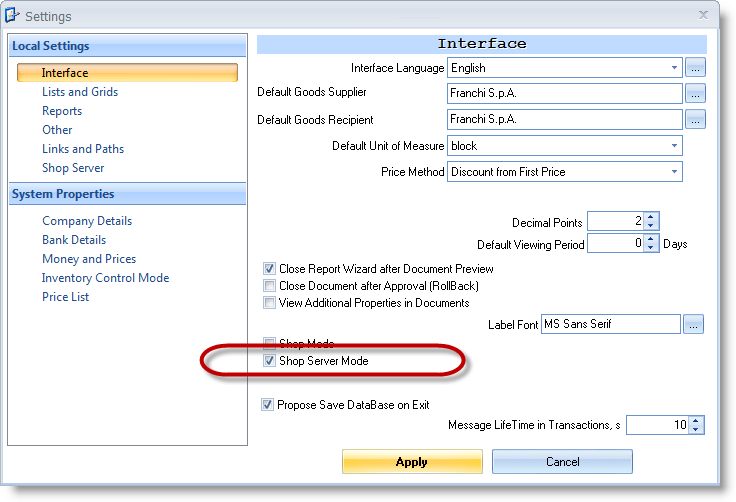 In approving the check ShopDesk creates and saves it to file with the GRR. It contains in himself and in his name all the information needed to convert a check to the Invoice in the main accounting system. More familiar with crukturoy GRR-files, please contact the by reference. GRR-files are placed in a special directory that can be local or network. It is recommended to create a directory for the exchange of GRR-files on the same computer on which the trading server. Trading server TCU in the process periodically, every 10 seconds (configurable option) reads the file checks and verifies their correctness. If while processing the file the error occurred (for example, damaged file structure, etc. ), he moved to the folder GRR \ ERR. It should be noted that TCU in the mode of trading server can not display an error message on the screen. All messages are placed in the trading server message log for further analysis tcu2_server.log system administrator. If the file is correct, then in the main accounting system creates Sales Invoice with details and list items from the check. After that, the created document is approved. If prices in check were changed as a result of discounts provided to the client, also formed an act of revaluation on these goods. Allowed to create, edit and approve sales invoices . Allowed to create, edit and approve credit cash order. Allowed revaluation of the goods. Allowed the shipment of goods "in the red". The maximum permissible discount must be at least the maximum discount on the discount card. Date of approval of the check should fall in the range of available dates set for the cashier. Retail prices are not lower than purchasing. 1. Open Journal tcu2_server.log and use it to determine the reasons for not approved this document. 3. Approve the TCU document itself. If it was a Sales Invoice, you must also make a payment on her hand. Generation of reports for which verification is carried out daily with the X-and Z-reporting cashier's workplace is allowed to conduct after the list of invoices and receipt of expenditure cash orders are not held not bude documents. That is, all documents created by the trading server TCU should be approved. For more information on creating reports, and conduct cross-checks will be discussed in our next article.